Lettering and Marking is a helpful guide to the lettering and marking of freight cars as established by AAR rules. A must for every railroader needing to read and interpret markings and lettering on freight cars and tank cars. Additional Information: This book outlines the current standards and practices in effect with respect to the lettering and marking of interchange freight cars. 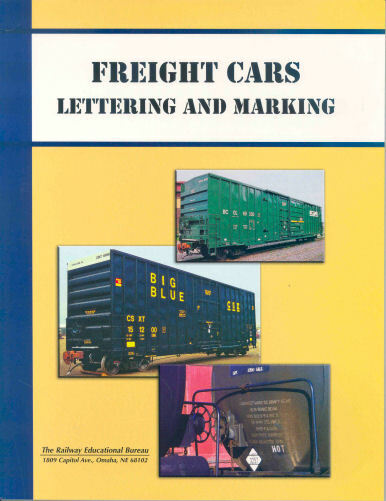 Freight Cars: Lettering and Marking presents over 40 illustrations and photographs of detailed lettering and markings on freight cars, doors, tank cars, boxcars, and much more. Softcover.